Conor McGregor is a mixed martial arts fighter who’s soon to be trying his hand at professional boxing, but that isn’t the only new profession he’ll be taking on in 2017. 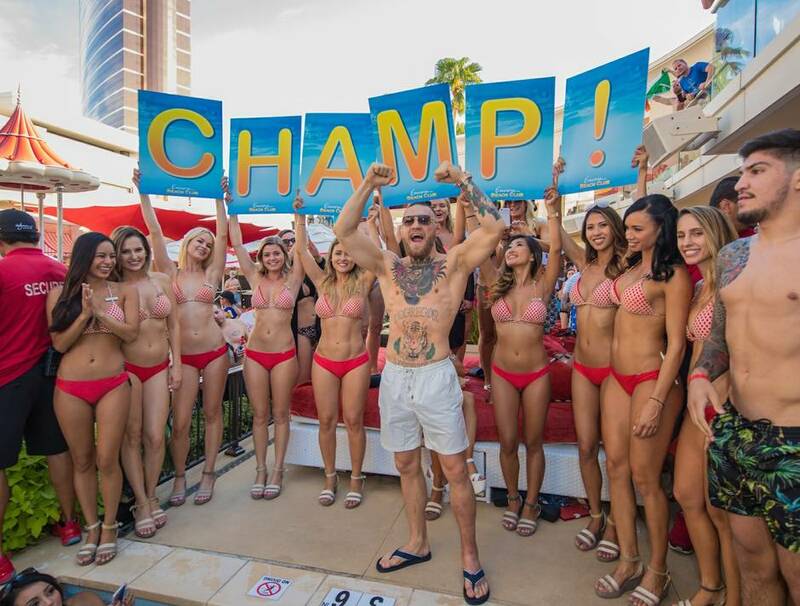 In addition to his much-hyped clash against Floyd Mayweather in Las Vegas later this month, McGregor has signed a contract with Wynn Nightlife venues to host events at the XS nightclub and Encore Beach Club over the next two years. McGregor’s first gig working for Wynn Resorts will take place at the Encore Beach Club the night of his August 26 fight. In what Mayweather might find amusing, the space is the outdoor component to Encore’s “Surrender” nightclub. 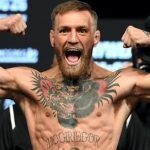 Few fighting experts give McGregor much of a chance at winning what some are calling “The Money Fight.” Despite the majority of bets being placed on the underdog, the Westgate SuperBook still has Floyd as the heavy favorite at -700. McGregor is currently at +500. After enduring a possible beating from Mayweather, one of the best boxers in the history of the sport with a perfect 49-0 career record, McGregor might not be too keen on getting dressed up to go clubbing. 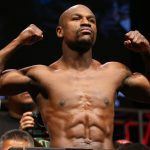 The arrangement between the Ultimate Fighting Championship (UFC) star and Wynn calls for him to host up to four additional parties at either XS Nightclub and Encore Beach Club through 2019. McGregor is certainly not lacking when it comes to ego. As one of the premiere UFC fighters, he’s the current lightweight title holder with a record of 21-3, with 18 of those victories coming by knockout. But he’s never boxed professionally, and he’s going up against a self-proclaimed “greatest of all time,” who has never lost. That’s why lines on the Mayweather vs. McGregor opened with the non-boxer as long as +1100 to pull off an upset. However, McGregor’s persona at several events hyping the fight have convinced some bettors that he’s got a decent chance. 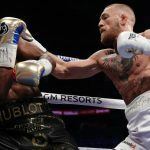 There have been several “low-six figure” wagers on McGregor at Las Vegas sportsbooks, and oddsmakers are reporting that there are about 32 underdog bets for each wager on Mayweather. 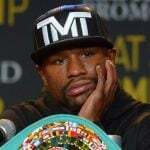 Several analysts believe the fight could fail to live up to the hype, leaving viewers disappointed that they shelled out $99.95 to watch the spectacle on Showtime. Ticket sales at the T-Mobile Arena have also been sluggish, with high ticket prices and the likelihood of a quick blowout cited as reasons. If McGregor does indeed lose, it could deal a blow to the UFC. If 2016 was a great year for the MMA league, with marquee fights from superstars such as McGregor and Ronda Rousey, then 2017 has been a different story. Rousey’s disappointing loss to a fairly unknown Amanda Nunes, for her second straight defeat, slashed her pay-per-view marketability. And McGregor hasn’t competed in a UFC event in 2017, and now appears interested in the more individually profitable sport of boxing. One McGregor fight in 2016 garnered more PPVs than the UFC’s six combined PPV events in 2017. While McGregor’s boxing Mayweather may bring the UFC some free marketing, the sport is seemingly on the lookout for its next big star.